We are a top-notch Manufacturer and Supplier of Veterinary Medicine from Rajasthan, India. We are engaged in making available well-formulated Dugdh Varsha Powder that is impeccable on terms of quality, effectiveness and reliability. We Pack the Veterinary Medicine in quality checked material so as to preserve its shelf life for a longer time period. The Veterinary Powder is purchasable at the modest prices. Rely on us! 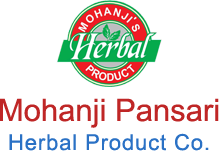 The company is a renowned Manufacturer & Supplier of Dugdh Varsha Powder. 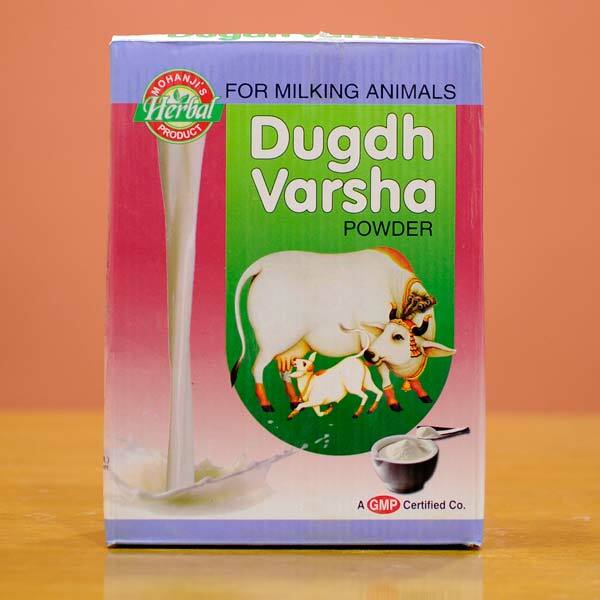 The Dugdh Varsha Powder is an ayurvedic formulation that is created for enhancing quality & quantity of milk in milching animals. 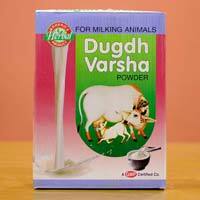 The Dugdh Varsha Powder is purely herbal and contains various ayuvedic tested herbs.